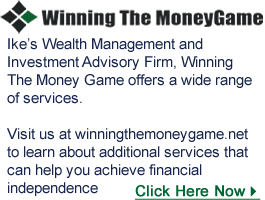 One of the main reasons we exist is to serve as a trusted advisor and a fiduciary to our clients. By serving in this capacity, we ensure that our client’s goals and objectives are always our number one priority while our goals and objectives as a firm are secondary. 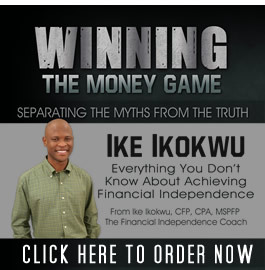 Through Winning The Money Game With Ike, we offer Strategic Tax Planning and Insurance Advisory services to our clients. Working with some of the top A-Rated insurance carriers in the nation, and drawing on the vast experience of our founder, we design and implement plans that help affluent families create taxable or tax-free retirement income for life, while experiencing growth on their money but without risk by using safe and secure assets from the insurance industry. The end result of our planning process is to help our clients achieve or maintain financial independence, and have peace of mind.